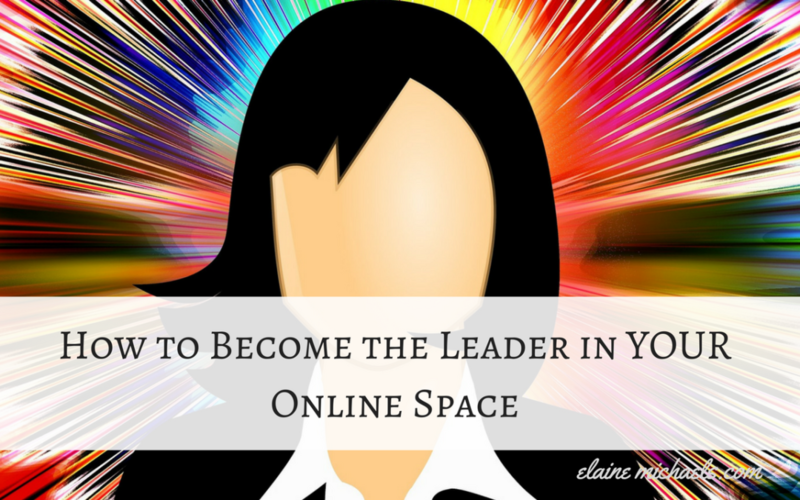 These are the steps that you can take to become That Leader in your online space. Watch my video, it explains it pretty well. I will list about 8.5 steps that you need to dominate. Do you have the Leadership qualities to BE an Authority in Your Online Space? Grab a pen and paper! Why would anyone want to read MY blog? Why would anyone want to watch MY Videos on Youtube? There are so many people out there already doing this, what would make me different and special? If you present yourself as a leader, you'll likely get more attention, more views, more subscribers, and yes, followers! TRUTH: There is only 1 YOU !! Be the Leader!! I used to have this mentality that I would get LOST in the online shuffle. When you look on the Internet, Youtube, on Any Platform, you will see some people with videos and a following. The truth is, people will connect with someone who resonates with them. You are going to resonate with people who are attracted to your ViBe, and not necessarily with someone who is already a High Level Achiever. When you achieve a top level status, it's hard to reach out to everyone who is following you. With the billions of people in this world, the possibility of you reaching a certain subset of them who resonate with what you say or what your beliefs are or your interests. So the best thing is if you have a dream to share, share boldly, authentically, and with confidence! The only thing that is holding you back, IS YOU. These are the Progression of Steps that I took when I looked back at my journey so far, these may not necessarily be the steps that you are going to take but maybe it will give you a framework you can use to create your OWN Journey. I can't wait to see what you see, when you look back at your own personal journey! If you liked the stuff I talk about in my video, be sure to subscribe to my Youtube Channel for more teaching, training, and cool tips. We all have an idea of we want to project into our space. Do you want to share that you're a fun loving individual who loves cooking, taking adventures, having fun? Well, share about this! The things that you are most passionate about. How do you want share this information about you to people? Let the creativity juices flow and start jotting them down in a journal. If you think best right before you sleep at night, keep a notebook by your bedside. If you think best in the shower, get some crayola shower markers and write them on the wall. If you like to see the big picture, get a giant white board and write out your plan! If you wake up with the best ideas, because you manifested them in your sleep, don't delay, write them down or voice record them before you forget. Step 1: Make Facebook Posts Like A Leader! Make your life visible to the general public! You can do this by making Facebook posts to share a slice of your life! This draws people into you and also allows you to share about your greatest beliefs, cares, and concerns that people should know. Start by making your posts PUBLIC. Find a nice photo that relates to your post and write a few thoughts about the event or picture. Stop Sharing other people's posts! Most Leaders create their own content and posts or shall I say, ‘curate‘ their content. You don't need to come up with your own brand new concept or ideas!! It's already out there, what you DO need to do is write your OWN thoughts and feelings about the idea! That is original and your own. Have an opinion about something? Tell it to the world! Stop copying and pasting company pictures and salesy posts. When there are 11,000 people sharing the same pictures, what is going to set YOU apart? What kind of posts should you be creating? To read about the top posts you should be making, look here. If there is an inspirational quote that hits you, chances are, it also resonates with someone else! Why not find an image that makes that quote pop and add the inspirational quote there. Take it a step further and write WHY that post means so much to you or hit you in that spot right at the this moment in your life. When you tap into someone's memories, or sentiment, you will build a stronger connection. Tip: If you want to know exactly how I create my Facebook posts and you need step-by-step how to do it…. without having to buy software! Be happy to show you! Checkout my Service. Video killed the radio star… Video allows for 3 things that a written post does not provide. First, you will get emotion. Second, viewers these days, find it easier to watch a video, soak in the audio, or read the subtitles if you are at the office. Third, we are looking for instant gratification these days and we have about the attention span of a goldfish. What you can do is to try making a Video about something that you absolutely love. For me, it was sharing recipes using my Instapot that could help out other mommas like me who want to prepare a healthy, cost effective meal, easily in less than 12 minutes. That was exactly what I did. Checkout my latest Instapot Video that has >1K views! Yes, you can make a complete 1 pot meal for your family in less than 12 minutes! I'm not saying we should be like the Kardashians… but there's a reason they have one of the top rated shows. Reality TV sells. Why is that, you ask? It's because authenticity, at it's best, is inviting to an audience that is curious. Tip: If you can get over yourself and start doing Facebook Lives, then you can download the videos and keep them on our Youtube channel. Two audiences is better than one. Step 5: Commit to Learning and then Turn Around and Teach It. You've heard it before. Content is King. So where do you get all the content to post on your Facebook or your Blog??? How would you like to know where you can find never ending content? I share this in another post that I wrote a while back. If you become the teacher, you become the leader. Even if you have an audience of 1.
and what I had learned that morning at the marketing bootcamp, I taught in a Facebook Live during the next 10 Minute break!! Facebook is a very versatile platform to use to drive traffic to whatever it is that you have to offer. Whether it's a blogpost, a webinar, an offer that you have. There are so many ways of teaching the information you have to share in a variety of ways. => Write a post with step by step instructions. => Do a Facebook Live Video showing your work in real time. => Create an infographic detailing statistics or processes. => Compile a series of teachings. Tip: If you want to have 7,195 Page Likes in 30 Days… the exact video training that I am using to build on Facebook AND a corresponding PDF. Click here. What does that mean exactly? Well, your Brand is everything that makes up You. Where do you passions lay? What aspects of your life can you NOT stop talking about? These questions all correspond to your Brand. I love the way Kim Garst labels it, ‘Your Social Compass.' Read more about that here. Tip: Want the Branding Package where you can build piece by piece all the components of a profitable business from the ground up. Step 8: When you have mastered 1 Platform, then master another Platform. When I was starting out, I thought I needed Facebook, Instagram, Twitter, Google +, Snapchat, Pinterest, Tumblr, LinkdIn, etc. After about 3 different accounts were created, I started to get crazy trying to keep up with them. I was spreading myself out too thin and spent a lot of time with my head down plugging away. I wasn't connecting with people on a level that was creating meaningful relationships! Best thing was to focus on where my audience was the most, and mastering that Platform, and oh boy did that make a difference! Tip: If you want to master Facebook, because it has such a powerful platform, be sure to grab this training that I used to project my Brand into the Online Space. One of the biggest things that drives my confidence is the continuous training that I receive on a daily basis. Whether it is for mindset, for learning technical skills, for learning marketing skills such as driving conversations, closing, or just even attracting people to me to talk about my business or opportunity. One obstacle I used to have was asking myself if I was worth spending the money on to learn. Once I got past that, the world has opened up and I was able to catapult myself into the online space. Take the 10 day Trial, to get the knowledge and obliterate the self-doubt. You won't regret it, best thing I ever did!